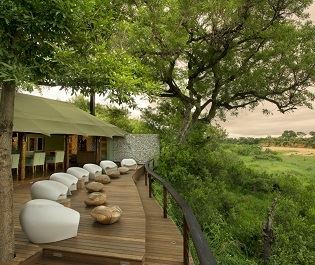 Nestled in the western sector of Sabi Sand Game Reserve, Leopard Hills offers an unbeatable view of the reserve’s verdant landscapes. 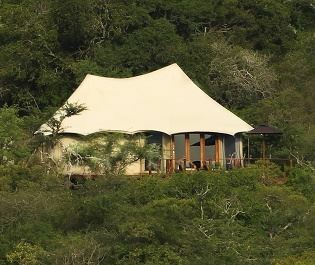 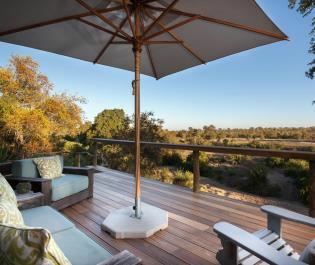 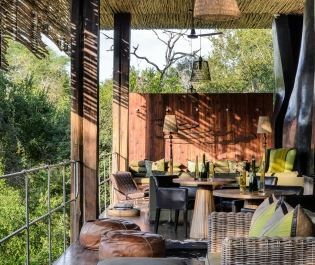 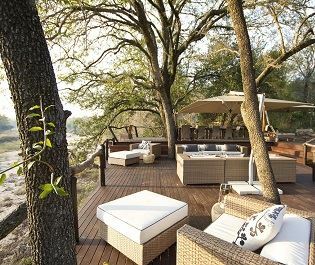 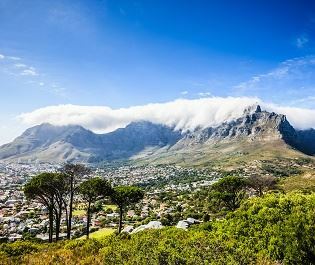 Perched high up in the hills, we love the breath taking views and the décor reminiscent of a luxurious tree house. 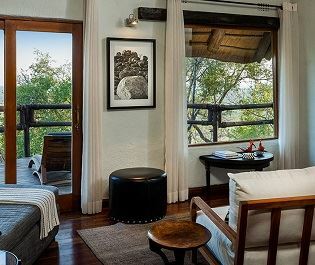 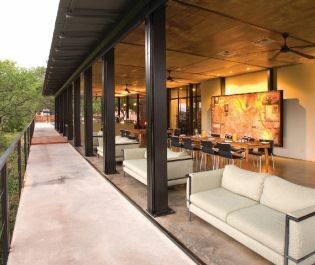 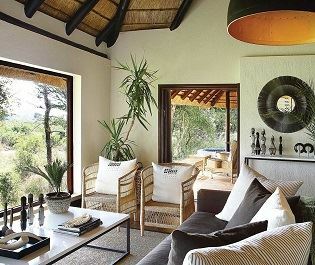 The eight suites are certainly opulent, with modern furnishings and floor-to-ceiling glass windows overlooking the forest-clad plains down below. 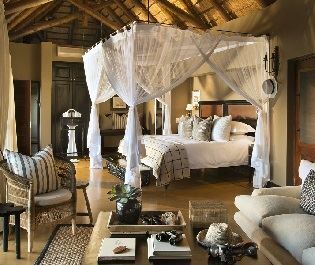 Each suite is secluded, and the expansive veranda and spacious open-plan bedroom and living area are incredibly indulgent. 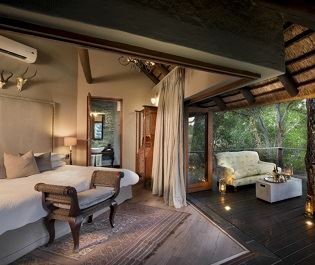 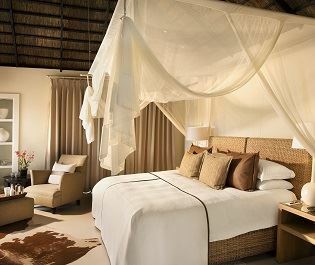 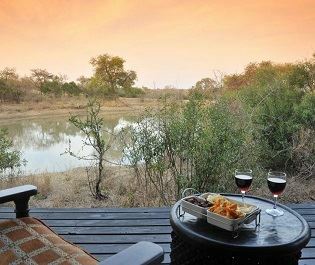 Each suite also has a private plunge pool, perfect for relaxing and marvelling at the scenery. 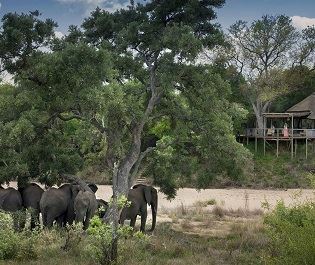 The main deck and mess areas are just as phenomenal - jutting out into the canopies makes us feel on top of the world every time we visit. 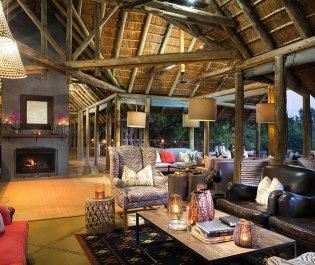 The lounge area is cosy and inviting, the old-barn style of exposed brick and high beams creating a very homely ambience. 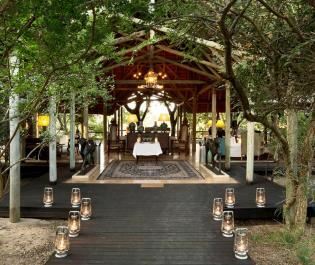 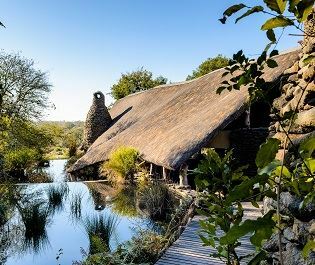 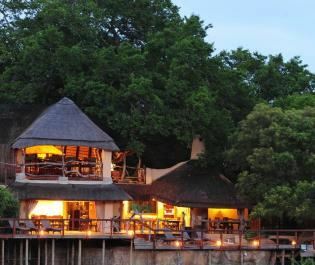 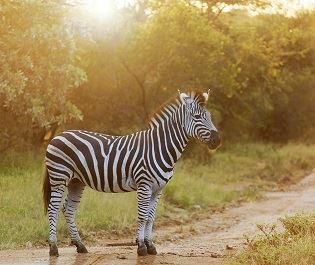 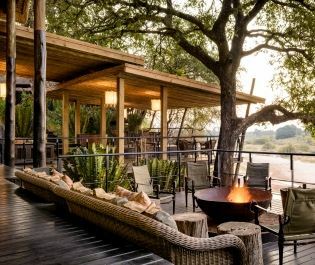 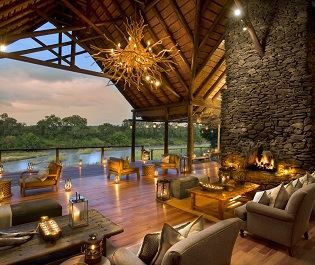 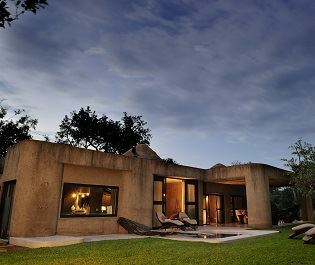 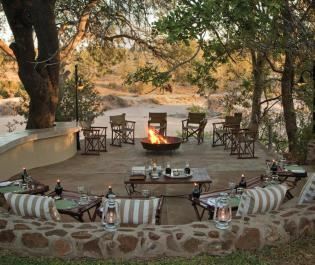 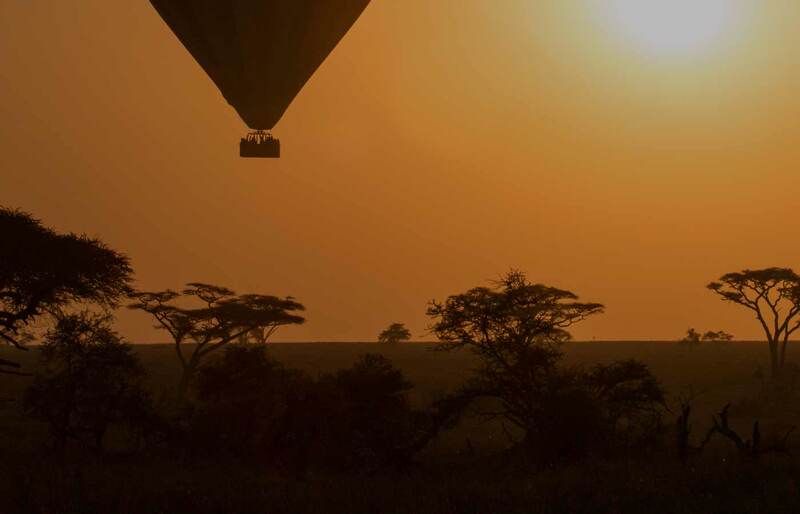 Although very chic and classy, there’s the opportunity to enjoy that back-to-nature feeling with the fantastic boma and gourmet bush breakfasts. 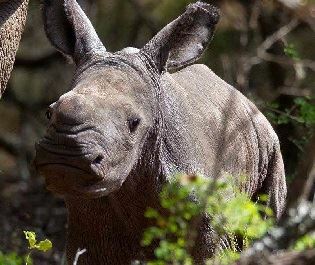 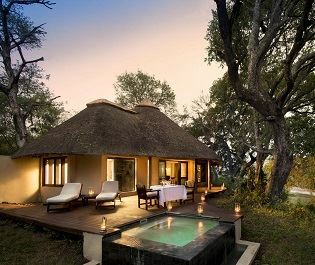 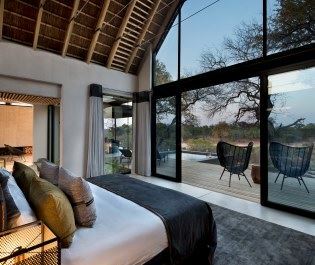 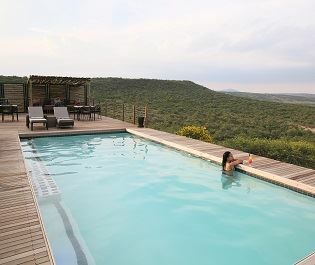 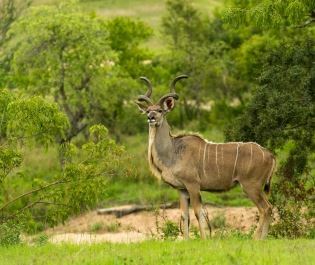 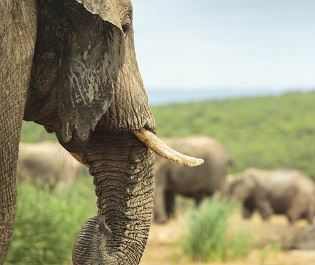 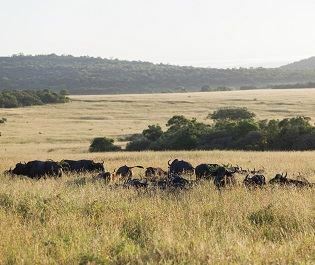 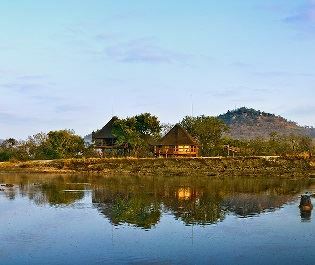 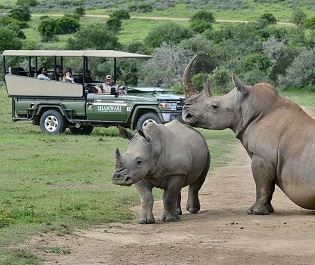 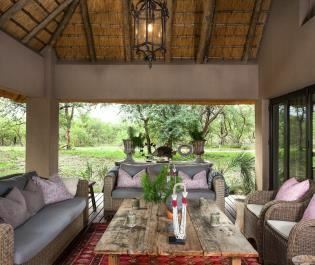 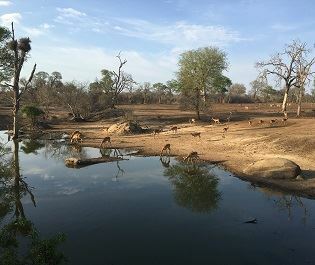 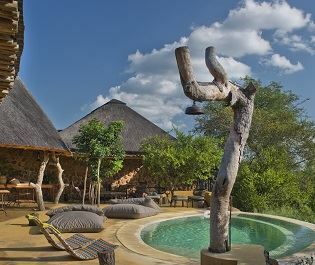 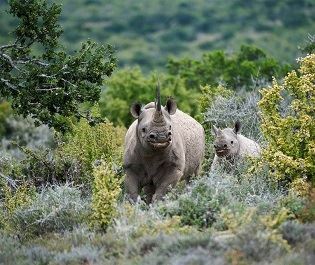 With amazing views of the bush and a waterhole regularly visited by the Big Five, this is definitely one of our first-class lodges, both for indulging, and for seeing the unspoilt beauty Africa has to offer. 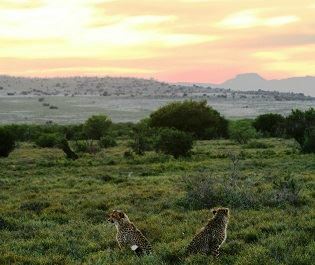 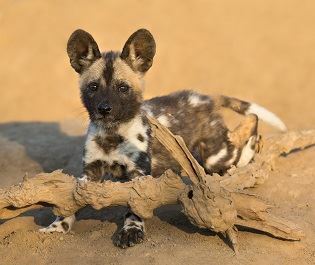 Two generations of leopard have been born here, so there is no doubt that you’ll spot a few of these majestic creatures, either on a phenomenal game drive, or even around the camp. 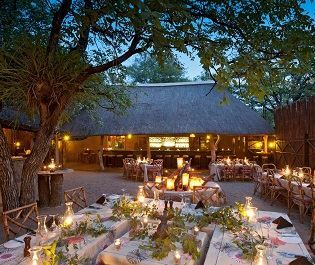 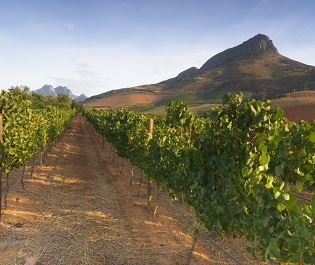 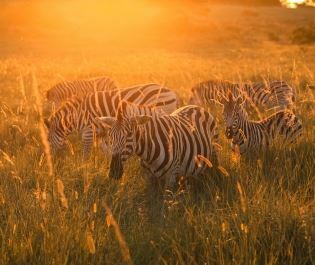 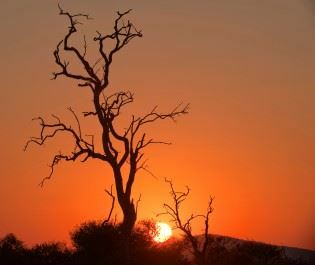 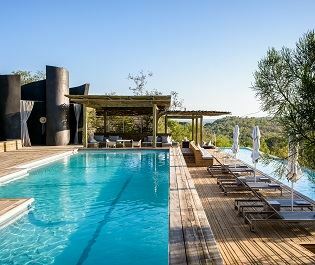 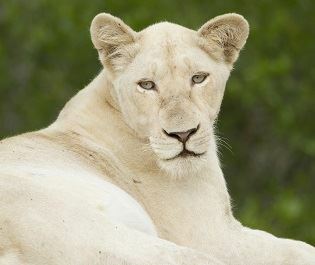 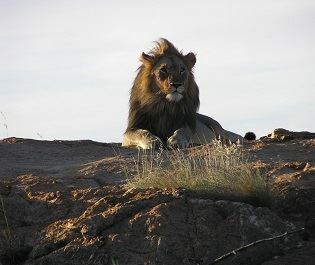 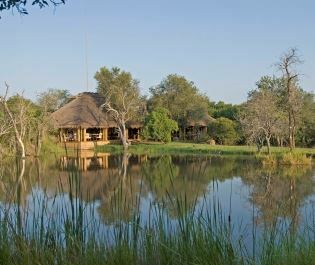 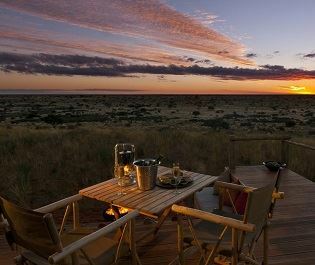 Combine three nights at Madikwe Hills, two nights at Leopard Hills and three nights at Kings Camp for a Luxury Madikwe & Kruger Safari.